The Cherry Sisters actually existed. 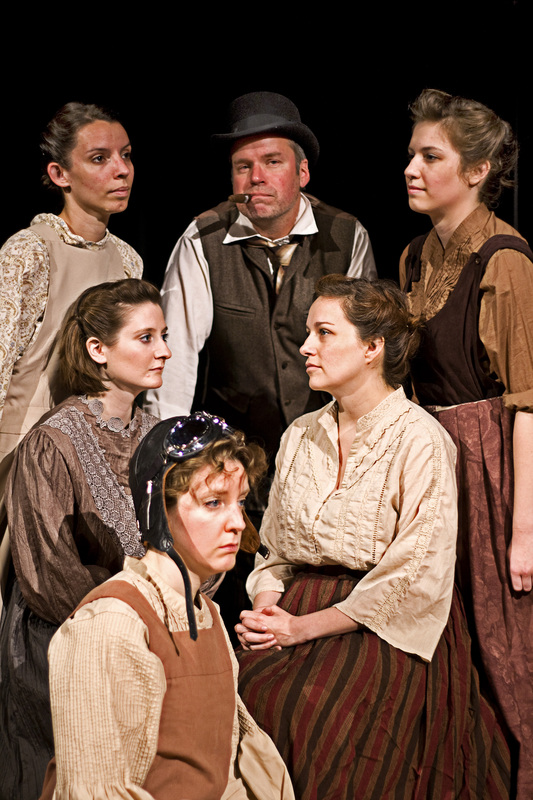 And in Dan O’Brien’s play, “The Cherry Sisters Revisited,” presented by R-S Theatrics, we get a portrait of what made them so infamous, funny and, at times, very sad. They created a vaudeville act right before the turn of the century and, undaunted by catcalls and a shower of vegetables at nearly every performance, they continued for ten years of so before giving up the ghost. And speaking of ghost, their father, Thomas, shows up in the play even though he’s dead, appearing to the girls on occasion and offering “fatherly” advice, mostly after a few nips of whiskey. In fact, early in the play, the girls are even referred to as “ghosts” which makes the play a bit confusing at first. But soon you’re having too much fun to sort all of that out after you get a peek at the horrific acts they put together to work the circuit. Amazingly, in real life, the Cherry Sisters even made it to Broadway for a short time. I think the audiences looked at it more as a “specialty” act designed for laughter even though the sisters took their songs and stories seriously. Five talented and uproarious ladies treat us to the creation and fruition of “The Incredible Cherry Sisters.” Rachel Tibbetts is Effie, the often moody older sister who comes up with the idea and refuses to give in even when her sisters can see the handwriting on the wall. Mollie Amburgey is Lizzie, the “pretty” one who later courts and marries a suitor. Ellie Schwetye is Jessie, the stern, austere sister who fails to keep proper decorum with the act. Beth Wickenhauser is Addie, the “funny” sister who comes up with the lame jokes and stories and Nicole Angeli is Ella, the “backward” sister who is frequently off in space somewhere but probably exhibits the most sense of any of them. She also has the best lines and expressions of the night and takes full advantage of her “special” status. This is a smart ensemble who work together flawlessly. It’s obvious that the actresses all like each other very much and had a blast coming up with the odd and slightly off-kilter series of variety acts- all finishing with the famous “pyramid.” With only five sisters (and later four and then three), it wasn’t a very impressive pyramid but, with tongues extended and obviously a great deal of exertion, they always make it look good. Add to the mix the talents of B. Weller as their Pop and later as the love interest of Lizzie. It’s a bit odd as they seem to recognize him as Pops and even refer to him with that moniker in his other persona, but he woos and wins Lizzie which leads to a bit more dissension in the family. He brings dimension to both the drunken Irish father and the con man who becomes their agent and Lizzie’s husband. It’s all pulled together by first-time professional director, Kirsten Wylder. She also has a flair for this family of oddities and brings both the humor and the pathos to the story as we’re in on the deaths of a few of the sisters along the way and the sad but seemingly satisfying life they lead as the “worst act in Vaudeville.” It’s really a story of never giving up on your dreams no matter the obstacles. Like Momma Rose alludes to in “Gypsy,” if they throw vegetables, just add them to the chow mein. 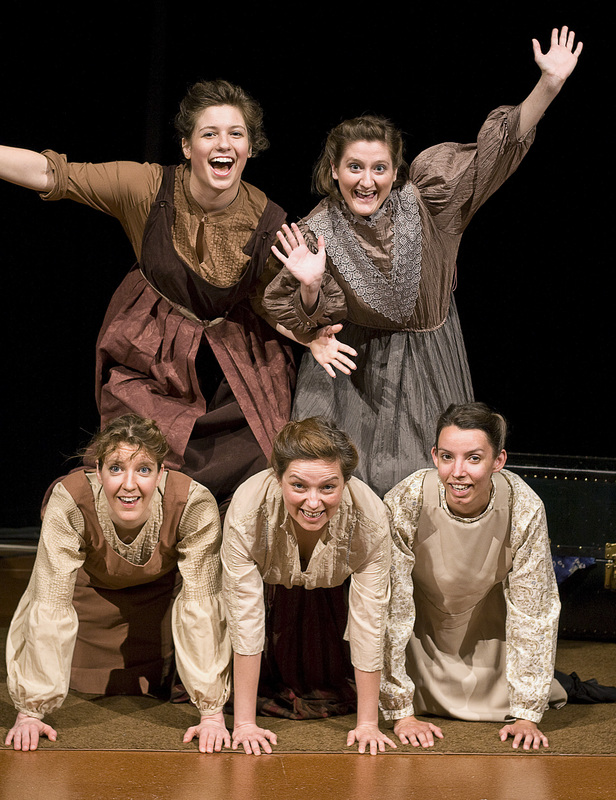 You’ll have a lot of fun at R-S Theatrics’ “The Cherry Sisters Revisited.” The enthusiastic cast and quirky nature of the family will keep you smiling and maybe even shed a tear or two. 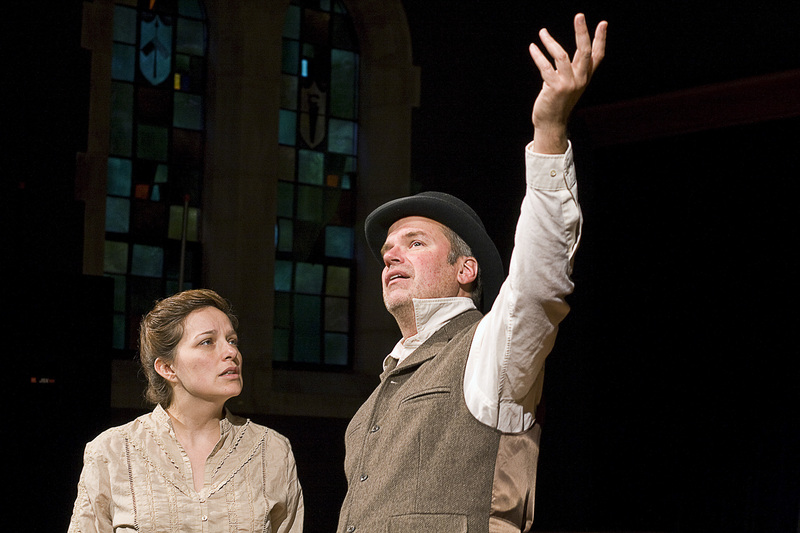 It plays at the Chapel near Skinker and Wydown through June 16th. Call them at 314-466-0071 for tickets or more information. This entry was posted on June 8, 2013 at 9:43 pm06 and is filed under Uncategorized. You can follow any responses to this entry through the RSS 2.0 feed. You can leave a response, or trackback from your own site.